Questions in this vein also form the basis of accurate risk stratification and effective disease management. They enable healthcare organizations to distinguish between seemingly similar patients within disease registries—patients who might at first or even second glance appear to be equally at-risk or in need of care intervention, but who are on distinctly different paths likely to lead to dramatically different clinical outcomes. In Netflix’s case, predictive analytics works when you discover movies or TV shows you enjoy. 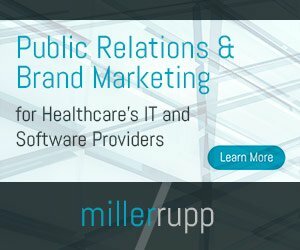 In healthcare, it works when you identify patients who share specific risk factors or profiles even though they may not share obvious or previously flagged commonalities; it works when you zero in on the subset of claims that are missing codes or other critical information that you don’t even realize is missing—and that is negatively impacting your reimbursement. Let’s say you have two patients who are both at risk for developing complications related to diabetes and who, at first glance, haven’t been in for their blood-work and other screenings in over six months. By bringing in additional data points and assigning those data points the correct significance relative to the population, you can see that one patient likely hasn’t been in for their appointment because their health has improved thanks to rigorously following other aspects of a disease management program—while the second patient is likely experiencing a decline in health as evidenced by new claims for durable medical equipment fulfilled through another provider. Predictive analytics also reduces the risk that healthcare organizations will waste resources manually triaging, prioritizing, or qualifying the information that comes into their systems or work queues—processes that in most cases can be partly if not fully automated. This in turn reduces the risk of wasting resources trying to close gaps in care that aren’t as critical to improving patient outcomes—or, to use an example from the RCM world, reworking claims that aren’t that impactful to your organization or your bottom line. Getting smarter as you go: that’s challenging. Who’d have thunk? To ensure the baseline accuracy of predictive analytics continually increases, the algorithms and layers of artificial intelligence at work must incorporate new information, determine its degree of relevancy, and then—if it meets at least one of multiple independent thresholds for correlation or relevancy—accurately weight the new data in relation to historical norms. What happens when there are too many variables to make sense of—or when they aren’t properly weighted? Well, in the world of streaming video service, your “Recommended for You” queue might start to include films that are tagged as inspiring, family-friendly stories of overcoming adversity. These would no doubt be rich musings on both the pastime and the passion of baseball, sonatas of the American experience itself, timeless works that explore what a father carries with him onto the baseball diamond—and what he must set aside if he is to focus on the game. You know, like Air Bud: Seventh Inning Fetch. Shifting our focus back to healthcare: Inadequate predictive analytics could result in under-identifying or misidentifying claims that should be flagged for a set of human eyes to review—all because the algorithm ascribes too much importance to the lack of (or presence of) a specific data point. In the same vein: If the algorithm can’t effectively distinguish between relevant instances and instances that share non-relevant commonalities, the resulting dataset might turn out to be too large or too messy to be of any real use. Rather than sharpening your focus, you might end up manually working through what amounts to a random subset of data—no real improvement over spot-checking. All these scenarios are different symptoms of the same problem: The algorithm assigning too much or too little importance to the wrong data points. What you want to see — and need to see. On Netflix that might come in the form of sports movies or one of the innumerable Kevin Costner classics. In the increasingly interconnected worlds of population health management and revenue cycle optimization, it comes in the form of reporting that identifies the instances that matter—the ones that have the greatest impact on your clinical outcomes, operational efficiency, and overall financial performance.